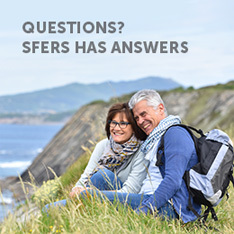 If you are married when you become a member of SFERS, you will designate your spouse as your beneficiary. 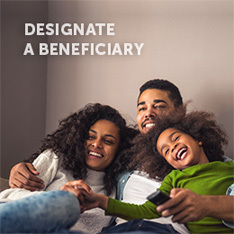 To designate someone other than your spouse as your beneficiary, your spouse will be asked to voluntarily waive this right. Under the provisions of the SFERS Plan, spouse and registered domestic partner are treated equally. You are not required to designate a beneficiary until you retire. However, we strongly suggest having a beneficiary on file in case you should die before you retire. 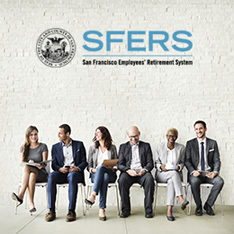 If you have not designated your beneficiary, download, complete and submit a SFERS Designation of Beneficiary Form. If you are married when you retire, we will ask you to provide an original certified marriage certificate as part of the retirement application process. In California, community property laws serve as the method for defining the ownership of property acquired during a marriage. California law defines community property as any asset acquired or income earned by a married person while living with his or her spouse. Under California law, retirement benefits are community property. In the event of dissolution of marriage (divorce), termination of registered partnership, or legal separation, your retirement benefits may be divided with a nonmember1 as defined in a court order. Please contact SFERS at (415) 487-7065 for detailed information about the affect of divorce, termination of domestic partnership, or legal separation to your SFERS benefits. 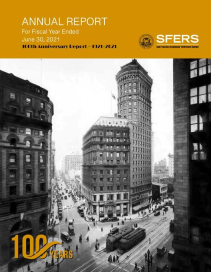 1 “Nonmember” refers to a member’s spouse, former spouse, registered domestic partner, or former registered domestic partner, even when also a SFERS member, who is being or has been awarded a community property interest in the member’s defined benefit plan.